The concept that discrimination can be based on "race" presupposes the existence of "race" itself. However, the US Government's Human Genome Program has announced that the most complete mapping of human DNA to date proves conclusively that "race" itself does not exist. Therefore, "racial characteristics" logically cannot and do not exist either. Is it possible to discuss biology without discussing science? We'll soon see just how averse to science the wikipedia editors are, when we discover whether they will accept reference to the latest knowledge of the human genome within the discussions of now ancient and scientifically disproved notions of human "races". WaPost Headline Declares, "Race a Dominant Theme at Summit: Subject Seen as Drawing Leaders Closer", with WaPost Using the Word "Race" Nine Times in One Article. Although many people, particularly the white-news media, act as though they are unaware of it, the Human Genome Project has proved that "race" is a fallacy with no basis in science. In other words, while the concept of separate human sub-species called "races" was developed four hundred years ago, during a time when white supremacists and the slave trade were seeking to justify the enslavement of Blacks, as well as the social, economic and political exaltation of whites, however, the most recent in-depth study of human DNA ever completed has shown that "race" does not exist. This certainly ought to be news, particularly in light of how often the word "race"continues to be used by the white-news media. For example, in a Washington Post article entitled, "Race a Dominant Theme at Summit: Subject Seen as Drawing Leaders Closer", I saw and counted the word "race" used nine times, discussing the importance of "race" for President Barack Obama's trip to the Latin American summit. Considering that "race" has been proved not to exist as a matter of scientific Government-approved fact, one would expect that the news media would begin using alternate words to refer to factors that DO exist, like skin color. But, the news media still stubbornly insist that "race" exists after the theory of its existence has been utterly disproven. The insistence that "race" exists in the face of conclusive evidence that it does not is an example of color-aroused ideation and behavior. Obviously, the media's belief that certain people are members of the "black race" is aroused by and based upon the media's perception of the skin color of those people. And yet scientific evidence has proven that there is no link between skin color and race, and that moreover race does not exist at all. So, why does the media continue using the word "race" so frequently? Are they perhaps trying to help Blacks to maintain a sense of "racial" identity in a rapidly changing world. It seems far more likely that the news media is trying to help WHITES maintain their sense of superior identity in a rapidly changing world -- a world in which science is utterly disproving the fundamental theories of biology upon which white supremacy has been based. Of course, if you remove the phrase "my race" and insert the phrase "my skin color group", then the laudable statement of solidarity makes perfect political sense. It also makes biological sense, because "skin color" is something that actually exists. A "racist" is "a person, organization or institution continuing to believe in, advocate, perpetuate or passively accept the proposition that there are separate 'races' among the human species, in spite of all of the well-known Human Genome Project evidence that separate human "races" do not exist. Should the White Male Monopoly of Sunday Morning Talk Shows Be Ended, as Has the White Male Monopoly of the Presidency? Yet another white male for Sunday Morning Television?
" 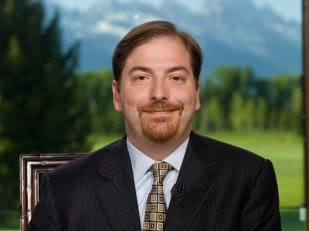 Is Chuck Todd getting a weekend show?" That's the question posed by Chris Cilizza in his Washington Post blog column today. As any lawyer knows, the answer to a question posed in the affirmative is usually an affirmative answer, and Chris Cilizza doesn't disappoint, at least in this way. White male Chris Cilizza answers, "We hope so", because white male Chris Cilizza sees no problem with white male Chuck Todd being added to an overhwhelmingly white male Sunday talk show lineup, dominated by white men. It's still all about the white men. Hillary Clinton's loss has renewed critiques that American political media is slanted, sexist and dominated by men. While Clinton and Obama broke barriers in the Democratic primary, swiftly dispatching white male Senators with more government experience, the race was still refereed, scored and narrated by white male commentators, an influential constituency in presidential politics. Pundits talked a lot about gender and racial progress during the campaign, of course, but the elite opinion media continues to employ, groom and promote a commentators corps that is disproportionately white and male. "White Male Pundit Power", TheNation, June 9, 2009. Not only are the Sunday morning talk shows on the broadcast networks dominated by conservative opinion and commentary, the four programs -- NBC's Meet the Press, ABC's This Week, CBS' Face the Nation, and Fox Broadcasting Co.'s Fox News Sunday -- feature guest lists that are overwhelmingly white and overwhelmingly male. That's just the break down of the guests, with three very potent bar graphs to prove the point beyond argument. But, let's talk about the monopoly of the white male hosts: If the question had been, "Are there severral good reasons to deny Chuck Todd a weekend show, then, of course, we could expect to see the question followed by several good reasons. And here's a fundamental one that makes all others superfluous in my opinion: White men as pundit and commentators tend to promote other white men in American society, to the detriment of the female and minority majority of American society, very much as the white minority under apartheid enforced rules and behaviors that benefited them and disadvantaged the majority Black South Africans. During a panel discussion of the 2008 presidential election on the July 15 edition of NBC's Meet the Press, syndicated columnist Robert Novakasserted: "Republicans are very pessimistic about 2008. When you talk to them off the record, they don't see how they can win this thing. And then they think for a minute, and only the Democratic Party, with everything in their favor, would say that, 'OK, this is the year either to have a woman or an African-American to break precedent, to do things the country has never done before.' And it gives the Republicans hope." Neither host Tim Russert nor any of Novak's fellow panelists, Bloomberg News Washington managing editor Al Hunt, Republican strategist Mike Murphy, and Democratic strategist Bob Shrum -- all of whom are, like Novak, white men -- commented on or challenged Novak's assertion. As Media Matters for America documented, the four Sunday-morning talk programs on the broadcast networks, Meet the Press, ABC's This Week, CBS' Face the Nation, and Fox Broadcasting Co.'s Fox News Sunday, feature guest lists that are overwhelmingly white and overwhelmingly male. Media Matters, July 15, 2007. Now, some psuedo liberal whitosphere blogger is sure to point out that Chris Olberman is a white male who favors Blacks and women in his commentary. This, to me, is like pointing out that in spite of the 43-term white male monopoly of the presidency, there were some white presidents who did not absolutely oppose minority and women's rights. Yet, merely by being president they were participating in and perpetuating an institution that had been preserved like an "all white male golf club", in which only white men need apply. And that's the problem with the Sunday Talk shows and most of television commentary and anchorships: their composition is determined by white men and it is assumed, a priori, that any open position will go to a white man, just as it was assumed under apartheid in South Africa that the president would be a white man who ruled over a Black majority. Is Chris Cilizza exhibiting color-aroused ideation, emotion and behavior when he shows enthusiams for white males for Sunday morning without seriously promoting anyone who is NOT a white male for a pundit positiion. 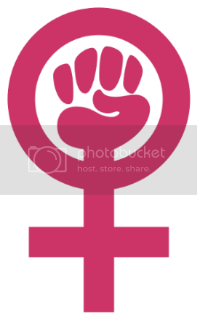 Well, if anyone can point out an example of Cilizza supporting a woman or minority for a Sunday morning talk show then that example of his color and gender-associated behavior will give us more information from which to form an idea about his color and gender-associated ideation. For now, it seems to me that, just as it was assumed a priori that Tim Russert would be replaced by a white man, Chris Cilizza assumes that any open space on a Sunday morning talk show should go to someone just like Chris Cilizza: a white man. It's a matter of self-interest. Most blogggers at the Washington Post are white men and this tendency has the effect of securing Chris Cilizza's career path, at the Washington Post and elsewhere. Look at the list of columnists at TheHill.Com Blog. There are twelve columnists and ten of them are white men, with two white women. Can women and minorities get the attention we need for the fact that we are paid dramatically less in America, when the pundits are overwhelmingly white men who benefit from the pay discrepencies, both when they receive higher pay and when they hire us for less? Poor A.B. Stoddard doesn't even see any advantage (and much disadvantage) in using a first name that would identify her as a woman. So, Chris Cilizza, the answer to your question is a firm "No". On a Sunday morning talk show lineup already monopolized by white men, there is no reason whatsoever to add another white man to the lineup, and every reason in justice and equality NOT to do so. *I include the dates of the articles cited to demonstrated how very little has changed, particularly in the ideation and behavior of Chris Cilizza, since these articles were written.